It would be an understatement to say that a lot has changed over the past 100 years. The 1900s were certainly a productive century for us, but one thing has remained unchanged: the use of influencers and brand advocates to market products and services. What is influencer marketing, you ask? There is not one exact definition, but influencer marketing can be described as brands utilizing influential figures to promote their product instead of doing it themselves. But to really understand the evolution of the influencer and influencer marketing, we have to throw it back … like, wayyy back. Welcome to the 1890s! If you’re surrounded by mauve-colored clothing and Benjamin Harrison is currently president, you’re probably in the right place. Although influencers have technically been around since the early days of the royals, it was during the 1890s when one of the longest running influencers to this day was introduced: Aunt Jemima. As advertising slowly gravitated away from word-of-mouth recommendations to newspaper print ads and posters, the Davis Milling Company wanted a face for its brand that customers could trust. Thus, Aunt Jemima was born. When you hear “Aunt Jemima,” it’s hard not to envision the iconic cheerful woman with a welcoming smile, enticing customers to purchase the brand’s products. Although many actors have played the role of this famous influencer over the years, Aunt Jemima pancake mix and syrup remains a classic product in many homes today. As we leave the 19th century behind and head into the 1920s, one of the most well-known influencers captures the heart of millions. Coca-Cola hired artist Fred Mizen to paint the bearded, rosy-cheeked Santa Claus we have come to know today. Before Coca-Cola began using Santa for its holiday marketing, he was commonly drawn looking more like an elf than a cheery patron of joy. Coca-Cola strategically capitalized on a character that was already well-known but reshaped the public’s vision of him into one that has stuck with us to this day. The use of brand influencers began to take off, and more companies began utilizing brand-created characters to showcase their company and products. We are introduced to more classic characters like Miss Chiquita Banana in 1944, Kellogg’s Tony the Tiger in 1952 and the General Mill’s Trix Rabbit in 1957. Technology continues to evolve as we reach the 1950s, and before we know it, celebrities are capable of having a more recognizable image and brand. Celebrities start becoming the token choice for influencer marketing, as made-up characters are no longer sufficient to convince a buyer to make a decision. Celebrities like Michael Jackson, Tiger Woods and Beyoncé emerge, with their faces attached to companies and products. As the 20th century continued, it was nearly impossible to find a big name brand that wasn’t attached to a celebrity influencer in some way. Consumers wanted a glimpse into the glamorous lives that celebrities lived, and purchasing the products that their idols claimed to use or love seemed to suffice, since they couldn’t exactly buy their million-dollar mansions or try on their Gucci wardrobe. The 2000s gave us a resurgence of 3D movies, Eminem and the internet. The creation of the internet unearthed new strategies for brands to affordably market products around the world. Suddenly, companies could create graphics, videos and stories online. Social media also began to emerge. Two-way communication between brands and customers changed the traditional structure of marketing and gave a voice to the general public. The early 2000s also saw the first “mommy blog” take off. These blogs had real voices from real people. Bloggers gave their audiences a fresh take on brand recommendations and started to become increasingly popular as social media became a regular part of our lives. Today, influencer marketing is quickly becoming a primary method for marketing strategy and online purchases. It is cost-efficient and very effective when done well. With the limitless opportunities that social media and evolving technology have provided us, almost anybody can be an influencer these days. Influencers are content creators, opinion leaders and experts in their field, who sell their reach and content on social media platforms to brands. 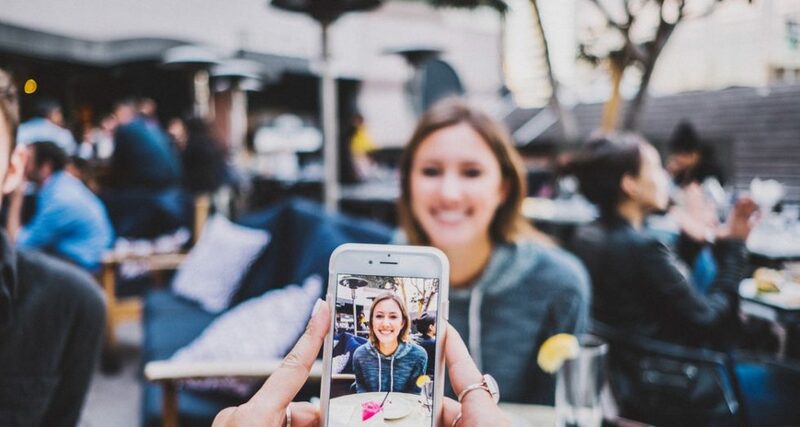 In fact, brands are starting to understand that leveraging micro-influencers (with a smaller but more loyal fan base) and everyday brand advocates in their marketing strategy can provide stronger results than spending an entire budget on a single celebrity. Without a doubt, 2019 is going to see the influencer continue to grow and evolve. Our team at Clairemont can’t wait to see what’s next. If you want to learn more about how you can utilize influencer marketing for your business, check out our blog post on steps to a successful influencer campaign here. Written by Alex Davis-Isaac, senior at UNC-Chapel Hill.